As a busy human resources professional, monitoring your company’s website for employee data privacy may not be high on your list of priorities. You may think it’s marketing’s job to deal with the website, but company websites are often keepers of far more data than you probably imagine. Making sure your company is successfully prepared – including not just policies but action plans – is crucial. As an HR professional, you are also in an excellent position to engage employees and communicate changes to data policies, creating greater trust and understanding between employees and the company. 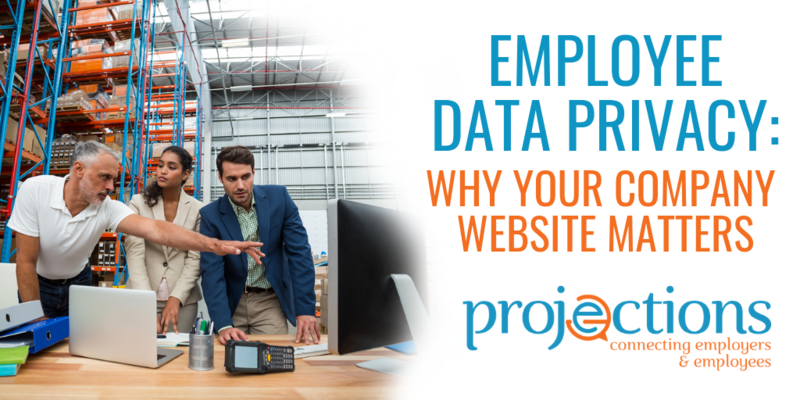 When it comes to your company’s website, you might be surprised at the amount of employee data hidden there. From inactive web pages, to employee image data, even hidden meta descriptions in PDF documents, finding and removing that data is a very real challenge. But employee data privacy is an issue that should be addressed by the HR team regularly and systematically. No longer can HR teams abdicate responsibility for employee information. Make it a point to be involved as your company builds security protocols and plans for any incident or privacy concerns. Company policies should specifically address employee communications and you should let employees know that all files can be monitored for security weaknesses. In 2018, the new GDPR requirements provided privacy legislation within the EU (affecting many US businesses that sell products or employ workers globally). GDPR gives everyone the right to be “forgotten” by a website – meaning have all their data removed. This also applies to employees. So if you have an employee who has created company documents and posted them to your website, the metadata contained in those documents could easily still identify that former employee, violating their “right to be forgotten.” This is just one area of which HR professionals need to be aware. In 2017, credit bureau Equifax was hit by one of the biggest website data breaches in history. Hackers exploited a vulnerability in a web application to access customers’ Social Security numbers, addresses, dates of birth, driver’s license numbers, and credit card numbers. The consequences of the data breach were terrible for both Equifax and its employees. The company experienced a significant loss of reputation. Although the company managed to come to an agreement with some state banking regulators in the United States to avoid paying fines, it faced large financial penalties in the United Kingdom and other areas. Meanwhile, Equifax employees were left in the dark about the data breach. Simple communication from the HR team might have helped Equifax maintain it’s trust and relationship with employees following the data breach. Instead, after the breach was over, the company faced the challenge of working to reestablish its reputation among its own workforce. What are all the places where employee data may be stored? Is all employee data encrypted? What protocols are in place should a breach occur? How often should we meet to review our employee data policies? What should we be communicating with employees in this area? Within your own team, be sure that access to employees’ personal data is limited to those that actually need to use it to perform their jobs. To reduce vulnerability, those with access should also create protocols for archiving, storing or deleting old or unnecessary employee data. Always keep an eye to proactively creating easy-to-understand data protection policies. Be sure that those on your team that work with employees’ private data understand the laws that apply to that data. Maintaining employee trust is vital to your reputation as an employer of choice, and giving employees this peace of mind around their data is a vital part of that trust. Ready to let employees know they can trust your company to protect their personal information? A custom-crafted online safety video from Projections can help you communicate with both your workforce and their families. Why Should You Communicate With Employees Online? As an HR and labor relation pro, you know the drill. Sometimes communicating with employees is a challenge — you feel like no one’s listening. 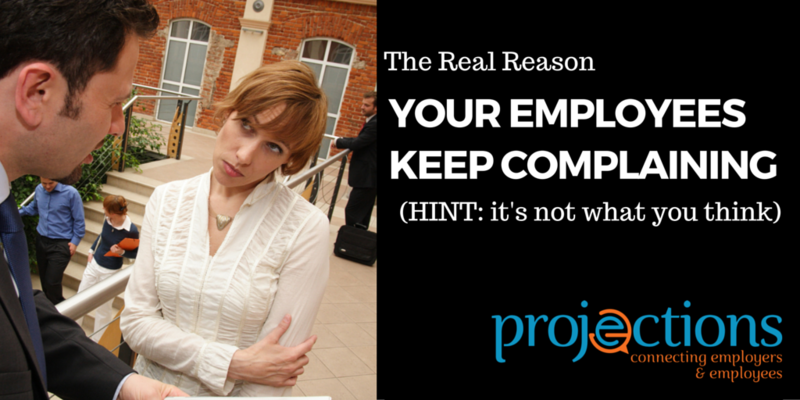 You probably get questions from workers that you’ve already answered. Did these employees just forget what you told them? Or were they even listening in the first place? 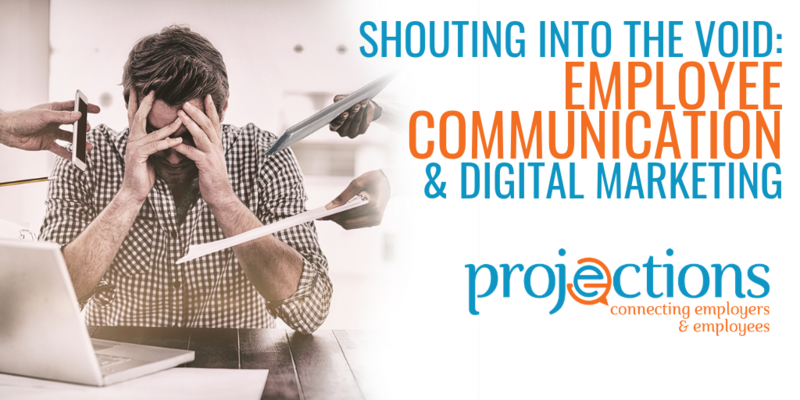 Consider thinking of your employee communications like digital marketing. This approach allows you to get your message across in an innovative way. Workers are more likely to retain important info, and you can foster positive employee relations. Digital marketing is a powerful tool that lets you engage with workers in your organization. It’s “an umbrella term for all your online marketing efforts,” says software development and marketing company, HubSpot. This term encompasses methods like Google search, email, websites, online video and social media. How Can You Use Digital Marketing to Engage Employees? HR pros are using digital marketing techniques today to target employees and create a UnionProof culture. One type of digital marketing method, email automation, for example, lets you send automated marketing messages to staff about relevant and timely topics. Automation can also be a powerful tool for onboarding new employees, with just the right amount of information delivered at just the right time. Automated emails can include links to video messaging, downloadable resources, company handbook, and more. Later, you can also educate employees on right-to-work laws, authorization cards, dues and other information specific to your UnionProof culture. You can communicate your union-free philosophy and inspire workers to take specific actions. Another aspect of digital marketing, social media, can help you build your culture of engagement by featuring positive employee relations stories from inside the company. Create your online presence as an employer of choice with benefits for new hires, a new hire orientation video, and current industry and legal updates that resonate with employees at your company. In the past, HR teams sent employees paper-based communications like newsletters. These took a long time to complete, and there were no guarantees that employees would even read them. Digital marketing methods, on the other hand, increase the likelihood of staff reading your messages. Research shows that the average person checks his or her email 15 times and spends 35 minutes on Facebook every single day. Therefore, digital marketing is a great way to promote labor relations. You can update your Instagram and Twitter feeds with the latest developments in union avoidance, for example, or attract more people to your organization with search engine optimization (SEO). What Are the Best Digital Marketing Techniques? You can incorporate various methods into your digital marketing strategy. Here are some techniques that you can use. Promote your company’s objectives and values on social media with the right hashtags. Who knows, someone with hundreds of thousands of followers might see your message and post it on their page. Advertise events that promote union-free workplaces on your website or blog. It’s just like pinning an ad on your office noticeboard, but employees are more likely to take notice of your message. Encourage your social media followers to like, share and comment on your content, too. Use pay-per-click advertising to increase the number of people who visit your website and blog. This type of search engine marketing increases the visibility of your organization and its core values on websites like Google and Bing. There are other digital marketing methods, too. Content marketing, for example, lets you incorporate information about your company and its union-free philosophy on your blog. You can create compelling content — what it’s like to work for your company, for example — and post information about employee orientation and staff training. Text messaging lets you send short marketing messages to mobile devices — perfect if you need to notify employees quickly. This is an effective communication tool: Collectively, Americans check their phones 8 billion times per day. Live online events are just as effective. Webinars, for example, let you communicate union-free practices and HR-related topics to audiences around the world. All you need is a computer or mobile and an internet connection. Finally, online video is a powerful tool for employee communications. Use it for orientation and training. Still haven’t incorporated digital marketing into your workplace? Using marketing methods like SEO, social media, email automation, live events and video promotes your company culture, improves communications and lets you engage with employees on a much deeper level. 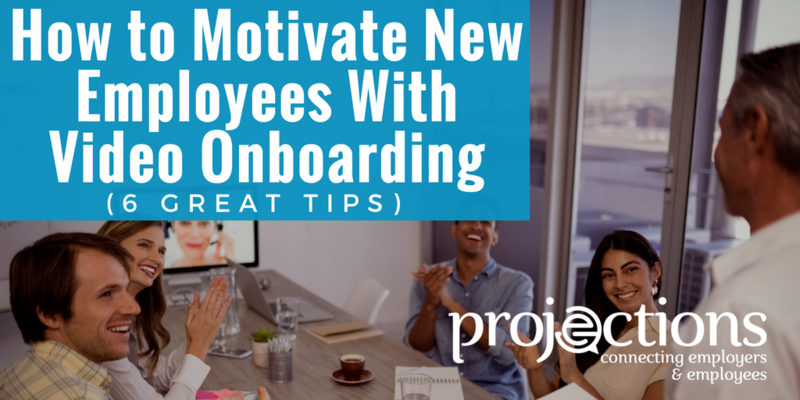 Does effective onboarding increase employee motivation? SHRM (The Society for Human Resource Management) has gathered information indicating that it does. Their findings? That the result of effective onboarding is that both employee AND employer reap long-term benefits. According to SHRM, effective onboarding will increase job satisfaction, organizational commitment and performance levels. In addition, it can reduce turnover and new employee stress levels. When you research onboarding, you’ll find that video is one of the most effective approaches available today. Traditional onboarding often consists of classroom-style lectures accompanied by documentation the new hire must study. Providing video is more memorable and far more effective than a lecture. It’s a way to build trust of company executives and ensure that the message to new employees is consistent. In addition, top-notch onboarding that includes video can reduce in-house training costs, and even reduce turnover in the first 90 days of employment. You can build a library of onboarding videos and update them as required. When the employee has access to the library, they can revisit information that they need to reinforce. Another advantage is that you don’t need to overwhelm new hires by providing all the information they need at one time. It’s easy to set up a drip email campaign that spaces out delivery of links to the videos in sequential order, based on the employee’s start date. Separate the information you want to convey into manageable pieces. For example, one video could be a welcome video from the CEO; another might come from department heads and so forth. Get employee input for ideas on the topics to cover. Ask existing employees of differing seniority in what ways they got lost when they were new hires. Also, ask them what they know now that they wish they’d known when they first joined the company. The types of videos can cover issues that may seem mundane but are important to new hires. Examples include how to use necessary equipment, IT policies, how to get support if something goes wrong, and a wide variety of other day-to-day challenges. Operational videos are also useful for reference – they’re the sort of content that the new hire may return to later, when they encounter that particular challenge. Of course, your onboarding videos should reflect your company culture. Expand on that idea with fun videos that illustrate what it’s like to work at the company. Take a video of one employee, or edit the input from a variety of employees into one video. Your team members can share on a variety of topics, such as what they do, their biggest challenge, their greatest satisfaction, the resources they find most useful, the help they can offer to new employees, and what they like about their job or the company. If you have employees whose career paths have included a series of promotions, arrange for them to provide a testimonial on career opportunities for long-term employees. If you’re responsible for onboarding new employees, video is a tool you won’t want to ignore. Don’t get overwhelmed if you don’t have a video library right now. Since you’ll be creating specific videos to address specific topics, you can easily build a library over time. The most important thing is just getting started! Your labor team needs to communicate with employees during an organizing drive. But before they do, it’s vital to understand that the laws are explicit about what kind of communication is permissible. The team of people working to help keep your company union-free will be in charge of overseeing the message, understanding what is said, to whom and when. Beyond that, the labor team (even if it’s a group of leaders who normally have other primary responsibilities) must know what resources are available to them to help them communicate well. This includes attorneys, persuaders & consultants and those that provide video, web, and eLearning tools dedicated to keeping your company union-free. So, do your research and know what’s legal as well as what’s recommended for your unique company and workforce ahead of time. Then, when you do have to manage a campaign to keep your company union-free, you’ll be well-prepared. Next, remember that your supervisors are out every day interacting with employees… making them your best source of information about what’s going on with your workforce. Empower those in supervisory positions and promote positive employee relations by providing confidence-boosting training that helps them understand not only what cannot be said to employees – but what CAN and SHOULD be said during an organizing drive. Supervisors can state that the company is opposed to unionization, highlight the disadvantages of union membership, and point to misleading statements in union propaganda. Supervisors cannot prohibit employees from wearing union buttons or demand to know if they’ve signed a union authorization card. Provide them with the skills they need to conduct meetings with employees, recognize distribution of authorization cards, and implement other targeted communications. Any team member that is expected to lead and to communicate with employees needs powerful leadership training to avoid mistakes – and Unfair Labor Practice charges – that could lead to fines and penalties for your company, and stress for your management team. This gives you time to prepare your response and make your case to your employees. Why are your employees even considering joining a union in the first place? If you can answer that question, maybe you can prevent this problem altogether. In a union-free environment, one option is to empower your supervisors to engage employees directly and solicit feedback. If there are consistent grievances, you may have your answer. A more involved option is to organize a “town hall” with executives to speak to employees and even the families of employees directly. This is a slightly more risky idea, but if your leadership is prepared and willing, this can put a more human face on your company. Finally, your internal processes can include regularly conducted employee engagement or union vulnerability assessments and surveys. When conducted by an outside company, these processes can help upper management gain insight, understanding, and the ability to take action on the right things. The time to plan your communications strategy is before an organizing drive – not during. Whoever makes up your labor team – be it staff dedicated to this area or communications teams and senior management – needs to sit down and create templates for several key publications: a response to an organizing drive so employees immediately understand that the company is aware and listening, educational information about the effects of unionization and why the company wants to remain union-free, and what to say once an organizing drive has ended (and what it means for the business going forward). This pre-prepped communications plan applies to company emails and press releases, but if your labor team wants to directly engage and refute union messaging, the best medium can be a website, dedicated to the organizing drive – and addressing only that topic. This kind of site can be created and kept in a “dark” state until it’s needed. This is where your labor & communications teams earns their keep. 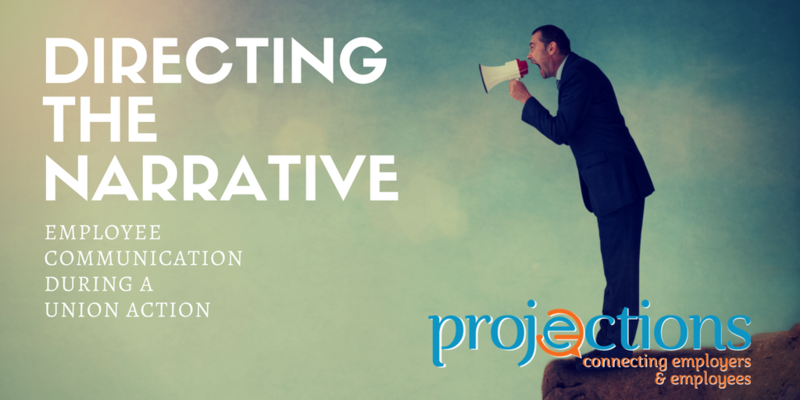 Your internal and public communications need to be clear, consistent and positive. Your leadership needs to have the authority to control all management interactions with the media and ensure that no company leaders “wing it” and go off-message. That message needs to state the facts and avoid painting the dispute as bitter or unpleasant. Remember, all you need to communicate is where the company stands and that events are ongoing. Anything else is just noise. Your message needs to be thoughtful, consistent and constructive. Every communication you release will be picked over by your employees, the union and, depending on the level of coverage, the media. What you say, and how you say it, will reveal a lot about how your organization is weathering the storm and how soon you can get back to business. We’ve all been there. Business is good, the work is flowing, the team is collaborating and then you hear it: an employee complaint. Maybe they feel the workload isn’t fair. Maybe they’re frustrated with the communication, or feel a lack thereof. Whatever it is, your first instinct may be to put on the boxing gloves and come back on the defensive. However, what if you can turn that complaint into what it likely is: an employee’s desire to make the company truly great? By doing this, you just may begin to see those complaints as opportunities instead. Let’s clear this up right off the bat: complaints are good, because they mean that employee engagement is good. A complaint is a sign that your employees are so actively engaged in their jobs that they want their company to equal their passions and their contribution. They want to make a suggestion for improvement and see that they have a voice in how they spend those 40 hours every week. If your business doesn’t have a clear and effective avenue for these suggestions, they may just turn into complaints. To prevent suggestions from turning into complaints, your company needs to have a way for employees to communicate their desires. The first and easiest way is to advertise an open-door policy. Include language in your employee handbook that you welcome feedback as a tool to constantly improve your program for all those involved. Schedule open office hours for employees to express any concerns or share new ideas. Foster positive employee relations by demonstrating that not only are you open to the contributions of your team, but that you will actively try to make changes within your power when they fit with your mission and your company’s needs. Of course, no amount of open doors and feedback-based policies will prevent the occasional complaint from squeezing between the cracks. When this happens, don’t be disheartened. Nobody is perfect, and every company can find room for improvement. To handle complaints constructively, start the conversation by giving your employee the power to find a solution. For example, if your employee is complaining about a lack of opportunity for professional growth, ask them what areas they would like to develop and what suggestions they have for fostering these skills. If they complain about a long commute, have them propose a plan that outlines how they can get the job done from home occasionally — and be willing to give it a trial. If an employee has a suggestion to make, don’t feel it is all on your shoulders to make those changes. Rely on the strength of your team and the skills of your employees — you hired them for a reason, of course — to come up with constructive solutions as well. Whether your employees have been with the company for decades or — perhaps even more importantly — are millennials just out of college, having an open and transparent organizational culture will ensure that all workers don’t just feel heard, but are heard. In order to minimize employee unrest and complaints, you need to make a clear and obvious effort to communicate openly in an effective way about employee concerns — not just what they are, but how your company is going to address them. Show that you are willing to put yourself out there and make a mistake in order to improve employee engagement and satisfaction. In this way, your employees can work with more passion and more trust in the company they support. Most important of all is for the company to communicate that employees are being heard. Whether that takes the form of live meetings, regular video messages, or even an online resource, regular communication fosters understanding. This is particularly true when feedback from employees involves something systemic that may take some time to address. Creating custom training resources to address employee concerns can go a long way toward addressing the opportunities employees present to you. By fostering an environment of feedback, action and communication, you can create a culture that rewards growth and provides job security for every team member.